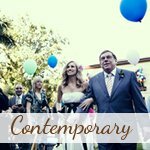 The wedding processional music along with the first dance song are the two most exciting and important songs you need to decide upon when planning your wedding music. Do you already have a certain type of music in mind and you just want some song suggestions? Scroll to the bottom of the page and click on the image links to go straight to the song lists you are looking for. 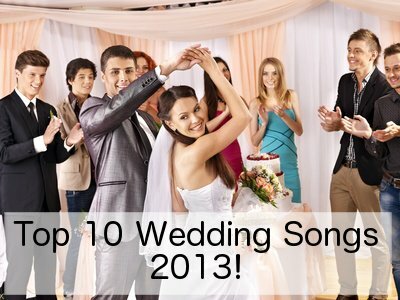 Alternatively, read on for some tips on how to choose the perfect wedding processional tunes. Often it will be the bride's father who will walk her down the aisle to, and they may or may not be preceded by the flower girls, groomsmen and bridesmaids. 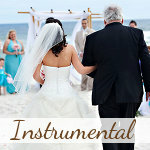 In this case you can use two different pieces of wedding processional music. Usually there will be a pause just before the bride walks as the priest will ask everybody to stand. This is a very special moment when all the friends and family are standing and turn to watch the bride walk down the aisle to her chosen processional music. This is the bride's big moment. Choose a piece of music that you like, something that has meaning to you both, perhaps a song with lyrics that you treasure, a song that reflects your wedding day formality or the traditions you hold dear. Also keep in mind that you need to practice a little to the song in order to know how fast or how slow to walk. When choosing your wedding processional music you also have a few decisions to make. A recording gives you more scope and many different versions of some songs to choose from, and you can practice on the song beforehand to get your timing just right. A live performance is a little more intimate and even more so if you ask a relative or friend to play it for you. If you choose to have the song performed live by a band, then you must make sure the performer/s can play the song, or if not, that they are willing to learn it and can get the appropriate sheet music. Traditional Classical, Instrumental or Lyrical? You also have to decide whether you want to use traditional classical processional wedding music, instrumental music or something contemporary. This will depend on many factors, including what your church allows you to have, the mood you want to create, the theme of your wedding and your own tastes. Please also don't think that traditional necessarily means boring. There is a certain endearment to adhering to tradition, but it is also not for everyone. The choice is totally up to you and what you want for your big day. This is a big moment in your wedding and make sure you take the time to listen to many songs before you choose the right wedding processional music for you. 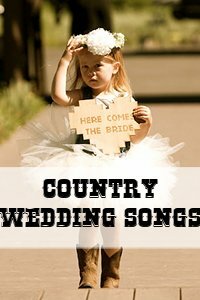 Below are a few lists of music of different styles that are perfect for your walk down the aisle. If you are having a beach wedding, also have a look here for great choices. Have you already chosen the perfect wedding processional music? 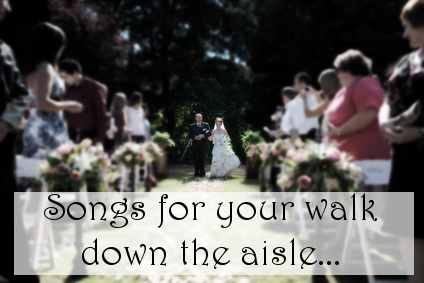 Please share with us all which song you chose to walk down the aisle to. 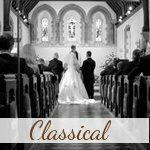 Tell us why you chose this specific wedding processional music... is it a traditional choice, is it "your" song, do the words mean something to you, does it pay tribute to your heritage? If you want to add the lyrics or embed the Youtube video to the song you chose that would also be wonderful. Tell us about why you chose this specific wedding processional music to walk down the aisle to... is it a traditional choice, do the words mean something to you, does it pay tribute to your heritage? If you want to add the lyrics or embed the Youtube link to the song you chose that would also be wonderful. I love this theme. 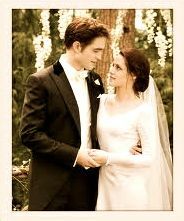 Everyone at my wedding will hear the theme and know where it is from & make the association I did.